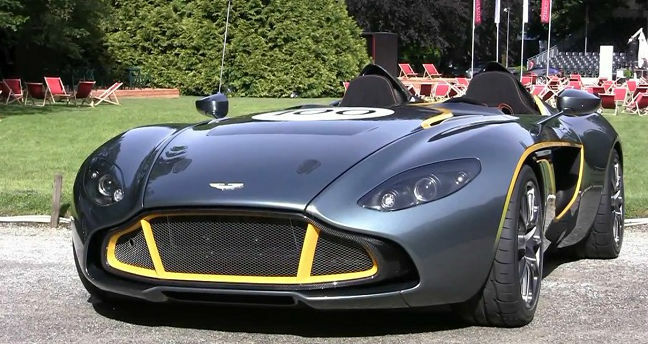 Aston Martin CC100 Concept: Video with Brutal Sound! - Muscle Cars Zone! 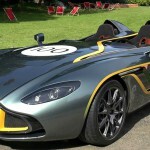 Aston Martin CC100 Concept: Video with Brutal Sound! The car features a 6.0 liter V12 engine able to produce 565 bhp (421kW) and to develop speed of 62 mph (100km/h) and electronically capped maximum speed of 290 km/h (180 mph). It was made in order or the hundred years of existence of Aston Martin to be properly celebrated, as well as the win of Le Mans in 1959 DBR1. 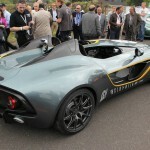 The body of the CC100 is mainly made of carbon fiber that makes it weight 2,645 lbs (1,200 kg). The engine of this two-seat vehicle is paired with a 6 speed manual transmission. 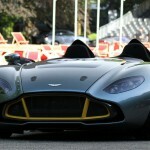 According to unofficial data the vehicle was sold for a price extending from 770,000 to 1,450,000 dollars.